Klamath-Siskiyou Native Seed’s hands-on native seed cleaning workshop at Sanctuary One animal sanctuary in the Applegate Valley. 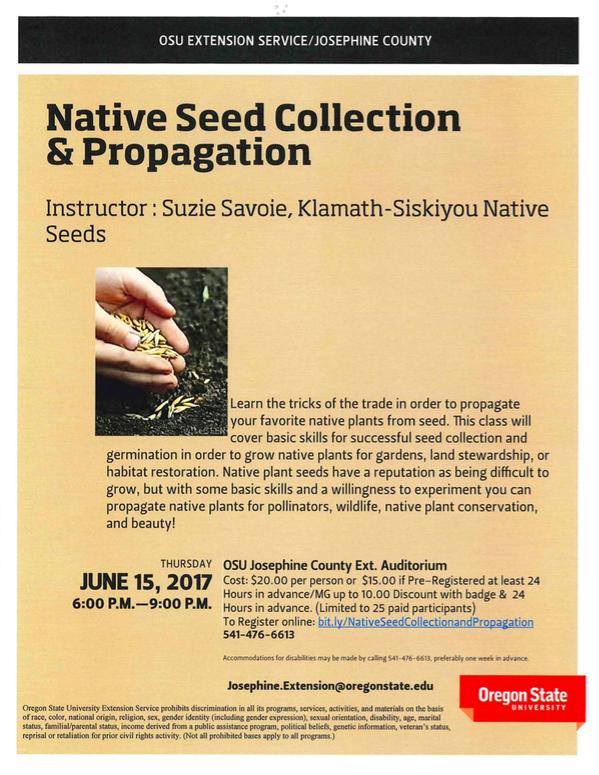 Klamath-Siskiyou Native Seeds participates in many community outreach events, including presentations, panels, workshops, symposiums, small events, and large events that incorporate the use of native plants and native plant seeds into their themes or programs. This week we had the honor of being invited to do a presentation at Sanctuary One animal sanctuary in the Applegate Valley in southern Oregon. After a one-hour Powerpoint presentation, “Using Native Seeds for Land Stewardship and Pollinator Habitat,” we provided some hands-on work with native seeds. Giving people, including kids, the opportunity to see the seeds, experiment with seed cleaning techniques and packaging the cleaned seeds allows for a deeper understanding of the native plants themselves and how they reproduce. Workshop participants got to take seed home that they cleaned in the workshop to grow out on their own in the future. This workshop used basic household items to show that the collection and processing of native plant seeds can be done on a small scale without the need for expensive equipment. Thanks to Sanctuary One for hosting such a great community event! 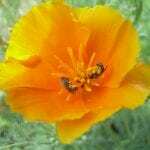 Contact us at klamathsiskiyou@gmail.com if you would like us to incorporate native plant propagation, native plant conservation, or native plant seeds into your program, workshop, event, or presentation in southern Oregon or northern California. Collecting seeds of meadow larkspur (Delphinium nuttallianum) in a high elevation meadow on the Siskiyou Crest. 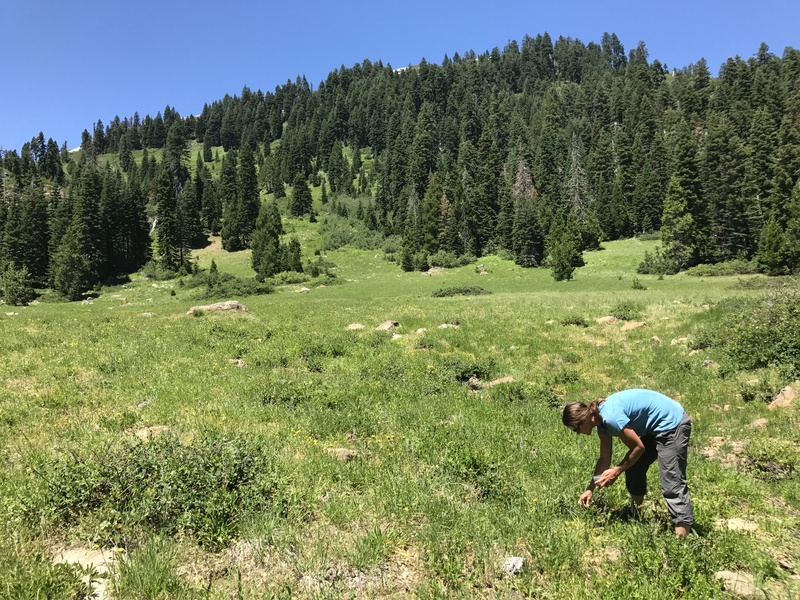 The seed collection field season is in full swing. The high elevation wildflowers are putting on a spectacular display this year, making it is hard to decide if I want to go see the high country wildflowers or stay in the low country to collect seed. Sometimes I can get the best of both worlds, as some early-blooming species are already going to seed in the high country. 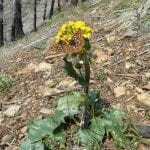 We have been collecting species like meadow larkspur (Delphinum nuttallianum) and Siskiyou lewisia (Lewisia cotyledon) that are ready in the higher elevations. 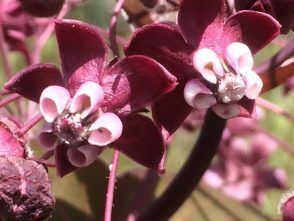 A time lapse video of cleaning Silver bush lupine (Lupinus albifrons) seed. 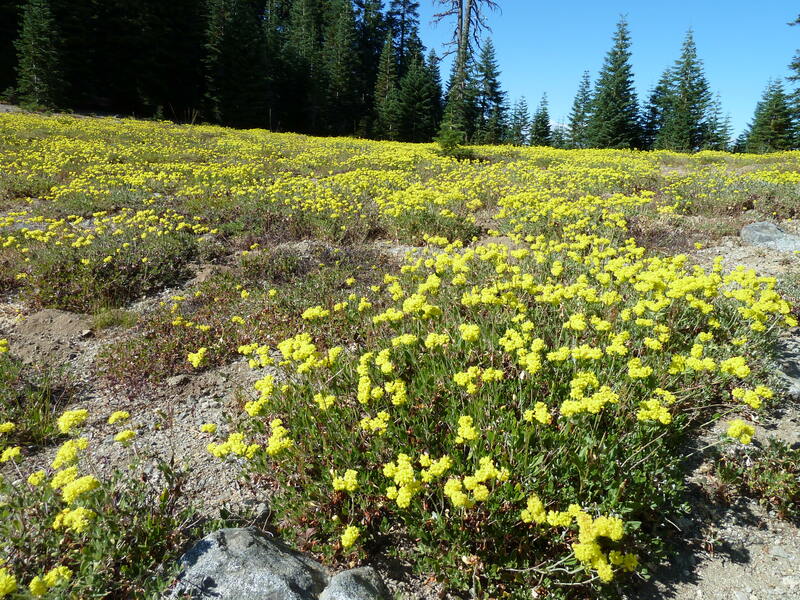 Do you love the flora of the Klamath-Siskiyou? 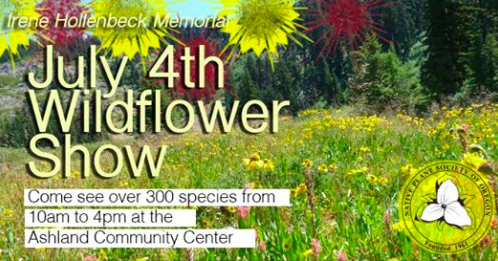 Come see over 300 species of wildflowers at the 4th of July Wildflower show in Ashland, Oregon. Collected flowers are carefully arranged and identified for a quick and beautiful learning experience. 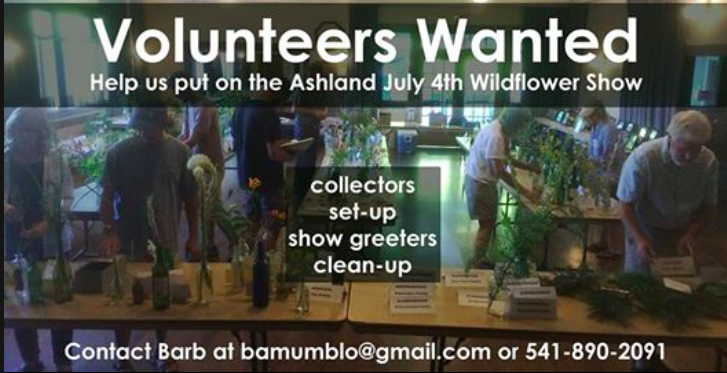 Want to help collect wildflowers for the show or help set up the show? No experience necessary. 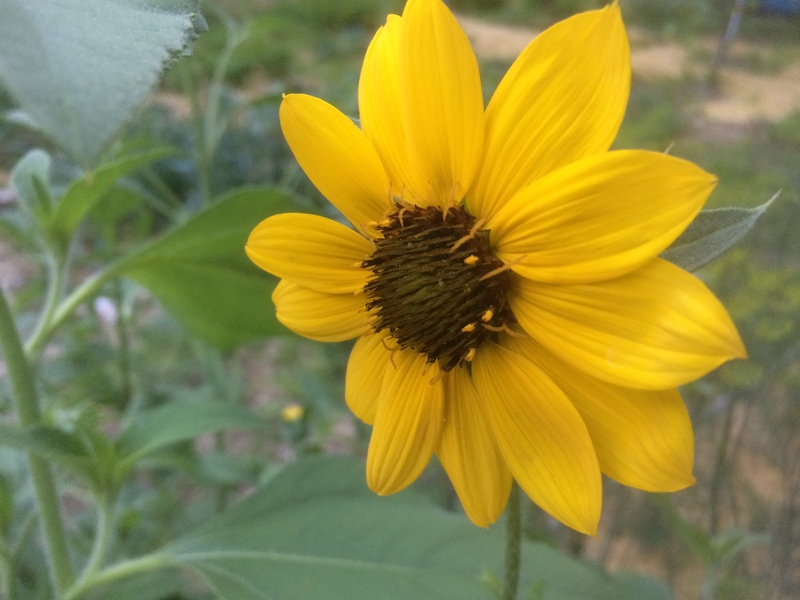 It’s a fun way to support native plant conservation and native plant awareness while learning along the way. Thanks to the Siskiyou Chapter Native Plant Society of Oregon for putting on this fabulous show every 4th of July in Ashland, Oregon. 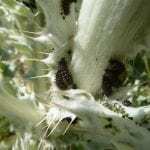 Mylitta crescent caterpillars using western thistle (Cirsium occidentale) as a larval host plant. 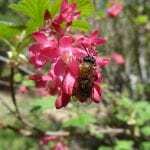 Native plants have evolved over millennia with native pollinators. Native plants depend on healthy pollinator populations for their survival, and native pollinators depend on native plants for their survival — they are inextricably linked! 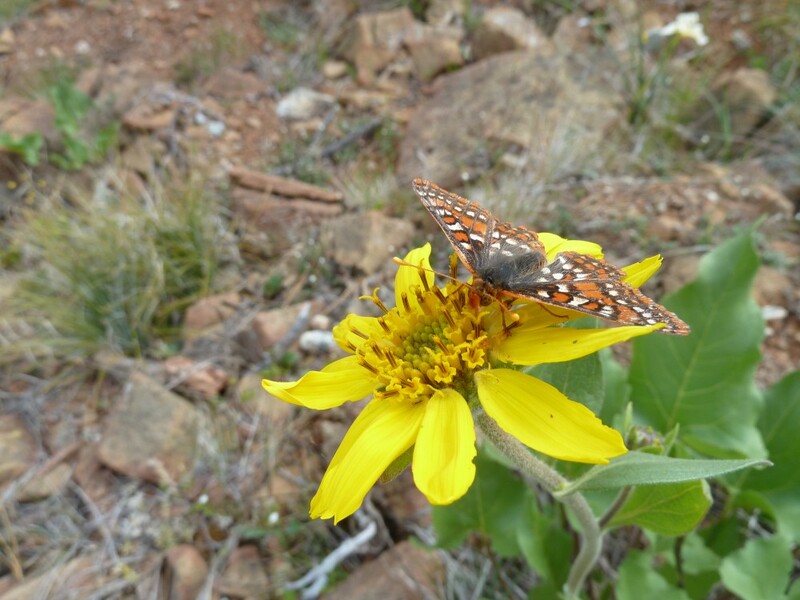 This week we celebrate National Pollinator Week by showcasing some of the variety and beauty of native pollinators using native plants in this slideshow of photos taken by Klamath-Siskiyou Native Seeds. 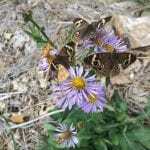 The diversity of pollinators we have in the Klamath-Siskiyou Ecoregion is a direct result of the world-renowned plant biodiversity found here. 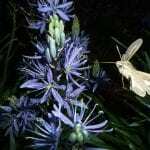 Pollinator ecology is a fascinating subject that one can spend a lifetime learning about. National Pollinator Week helps highlight the importance of pollinators and the need to take measures to protect pollinators into the future. 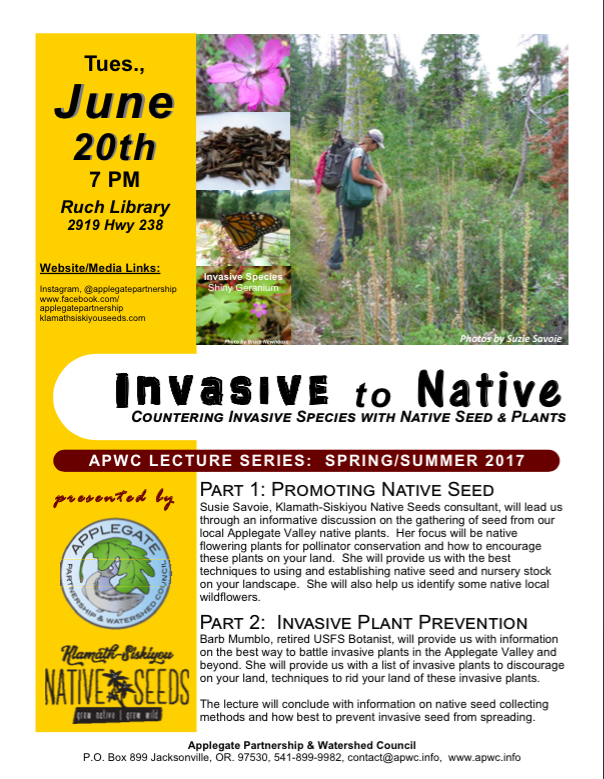 A Klamath-Siskiyou Native Seeds presentation in the Applegate Valley of southern Oregon on June 20th! 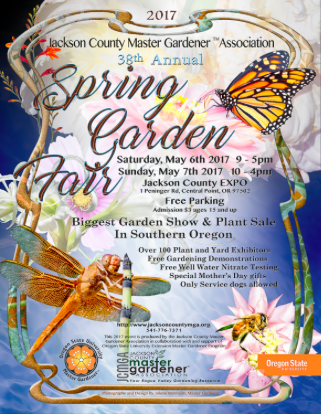 Klamath-Siskiyou Native Seeds will make uncommon native plants — some rarely sold in nurseries — available to the public at the Master Gardener Spring Garden Fair, May 6th and 7th at the Jackson County Expo in Central Point, Oregon. 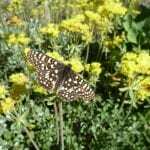 We have your interest covered with: Native larval host plants for butterflies, pollen-rich native wildflowers for bees, nectar producing plants for hummingbirds and evening and night blooming plants for our nighttime pollinating moths. 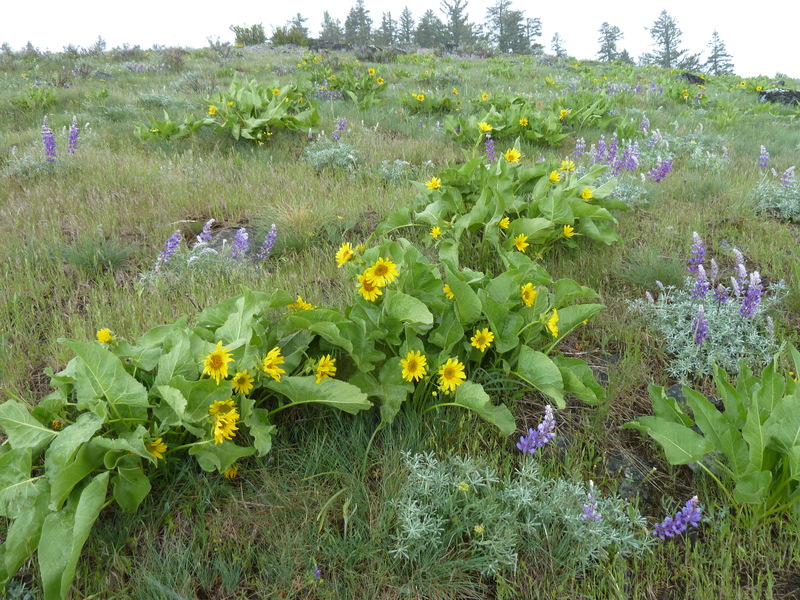 All of our plants are grown from wildcrafted local seed collected in the Klamath-Siskiyou Ecoregion. We will also have seed packets available for over 75 species of native plants at the fair. From low-elevation shooting stars and grasswidows, to high-elevation beargrass and horsemint, and everything in between, Klamath-Siskiyou Native Seeds helps you GROW NATIVE — GROW WILD! Come see us at the fair! The spring gardens season is on! 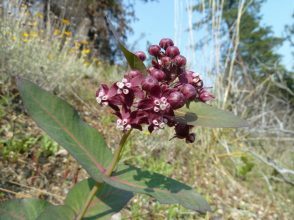 We will have limited heartleaf milkweed (Asclepias cordifolia) plants and seeds for sale at the fair! 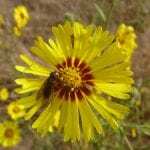 California is toward the end of its Native Plant Week, April 15-23, with many events organized through the California Native Plant Society. 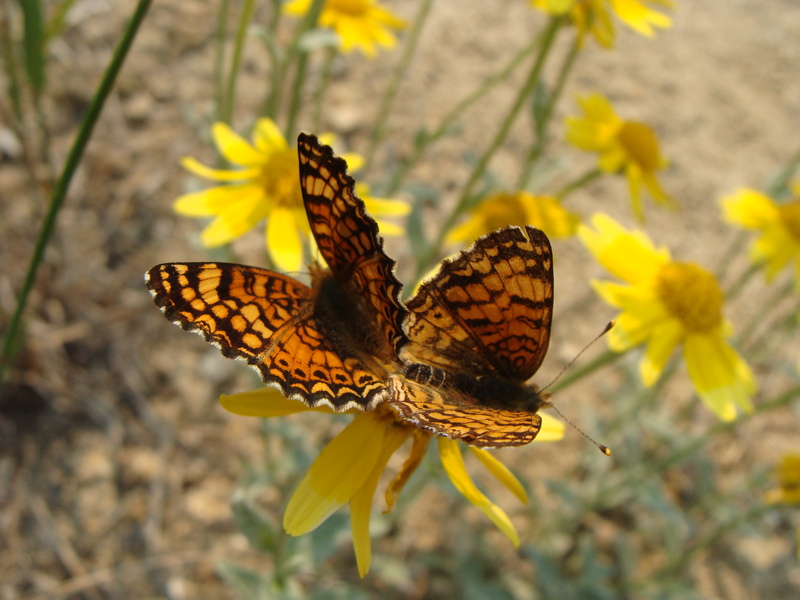 For more information on events in California see the California Native Plant Week events page. 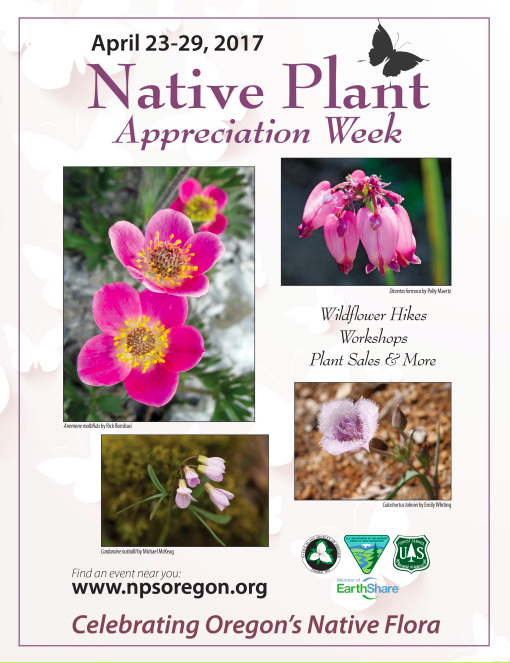 For Siskiyou Chapter Native Plant Society of Oregon Native Plant Appreciation Week events see their Facebook page. 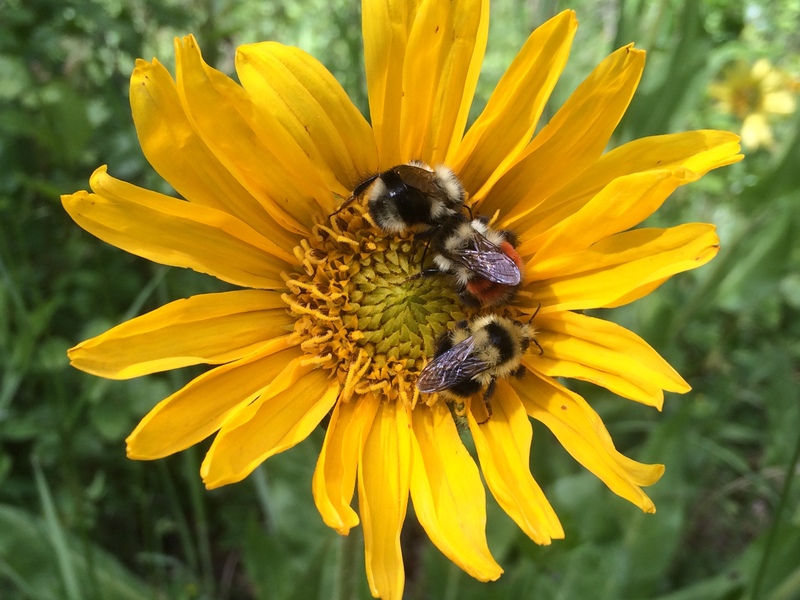 Dr. Robbin Thorp will lead the Bumble Bee Blitz in search of Franklin’s bumble bee. Save the Date! 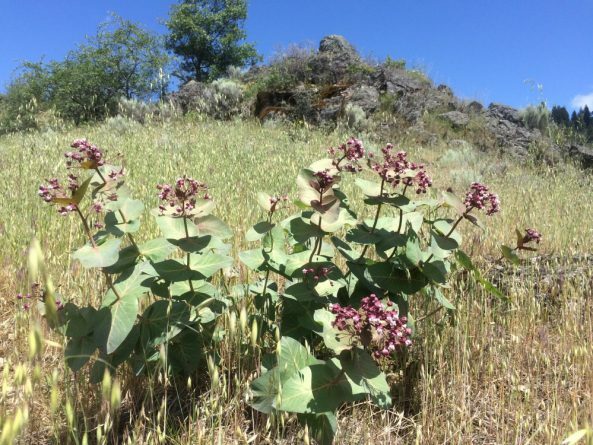 Come out and help look for the possibly extinct Franklin’s bumble bee (Bombus franklinii), and the rare Western bumble bee (Bombus occidentalis) on Mt. Ashland and in the Cascade-Siskiyou National Monument this summer. No experience necessary! Armed with nets and viewing jars we will follow the flowers and keep our hopes up that we’ll find Franklin’s bumble bee, a bumble bee that hasn’t been seen since Dr. Robbin Thorp’s last sighting on Mt. Ashland in 2006. 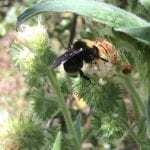 “Once again, we will be spending time in the Ashland area searching for mainly Bombus franklini but also Bombus occidentalis. This year we plan to spend two full days up on Mt. Ashland (Tuesday/Wednesday), a day over at the Hobart Bluff area (Thursday), and potentially part of a day at Grizzly Peak (Friday morning). This will occur the week of July 17 to July 21, 2017. Some of us may get there early enough to chase a few bumble bees Monday afternoon at Mt. Ashland depending on our travel time (sort of a warm up for the big week). As before, all are invited to participate – all ages and all experience levels. 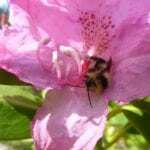 If you are interested in joining the Bumble Bee Blitz let Jeff know and he can put you on an email update list. Viewing jars like these will be used to identify bees in the field. 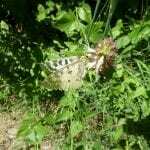 A bee/butterfly net will also be needed. 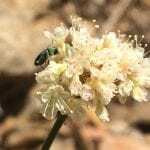 Sulphur flower buckwheat (Eriogonum umbellatum) is potential habitat for foraging Franklin’s bumble bees. Let’s find them!